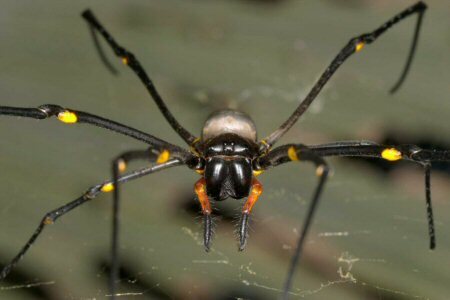 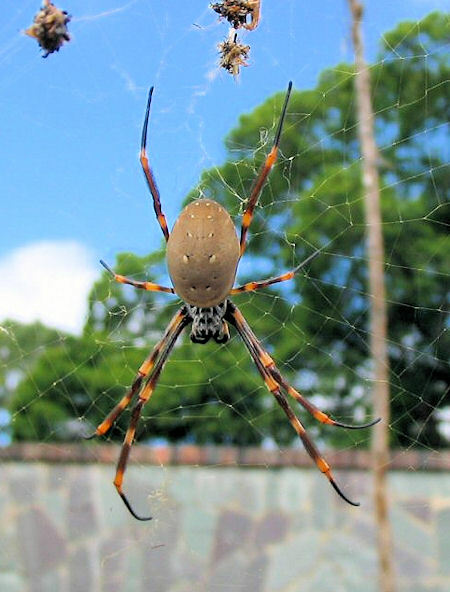 The golden orb weavers are one of the largest spiders found in Australia. 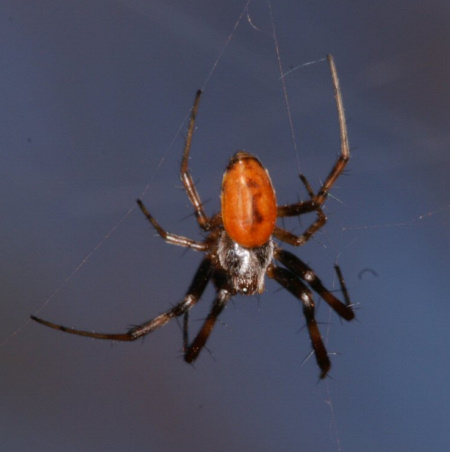 Their webs with diameters of over 1 meter can be found hanging off sign posts, in or between trees. 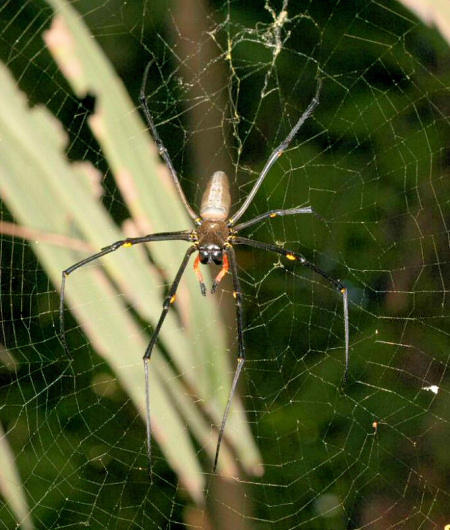 Female spiders can measure up to 45 mm while the smaller males measure only 6 mm. 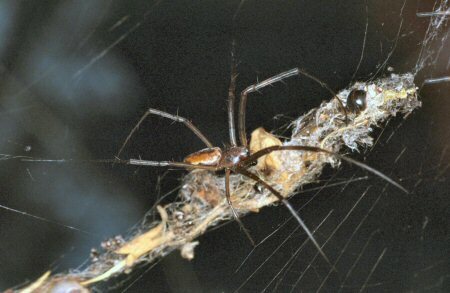 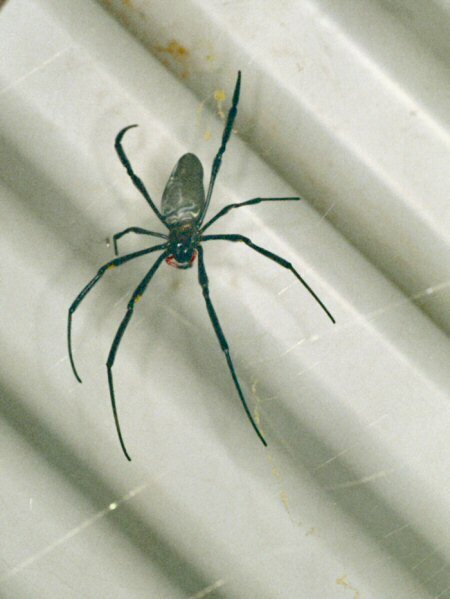 The male is often found in or around the web of the female. 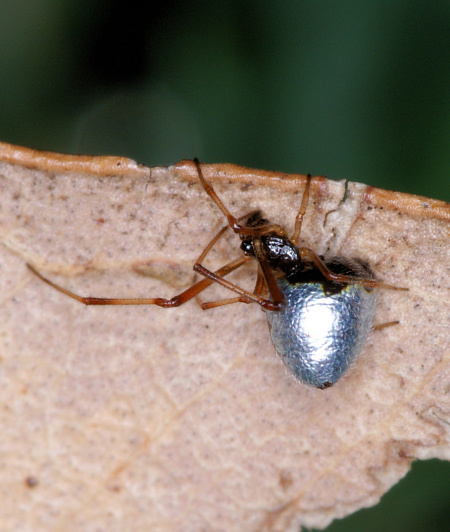 because their silvery body shines like drops of water in the sun. 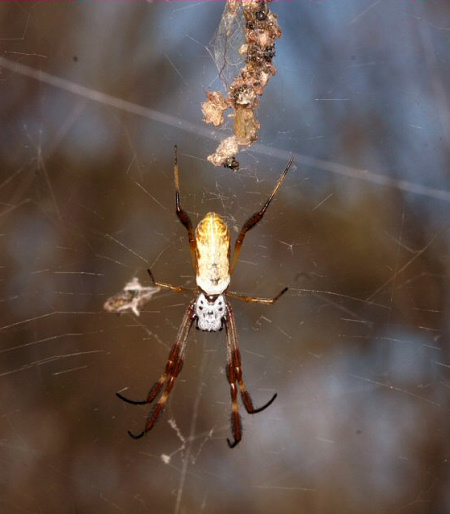 If you look closely at the web you can notice that the snares have a golden color. 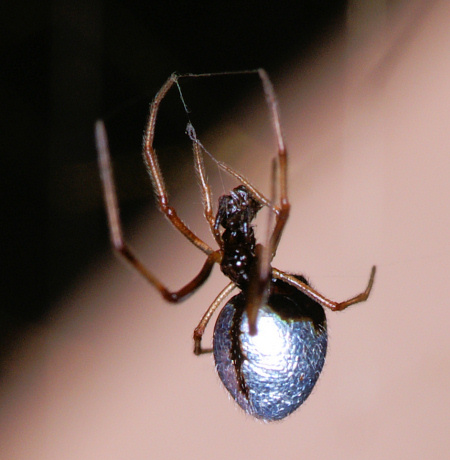 The web is extremely strong. 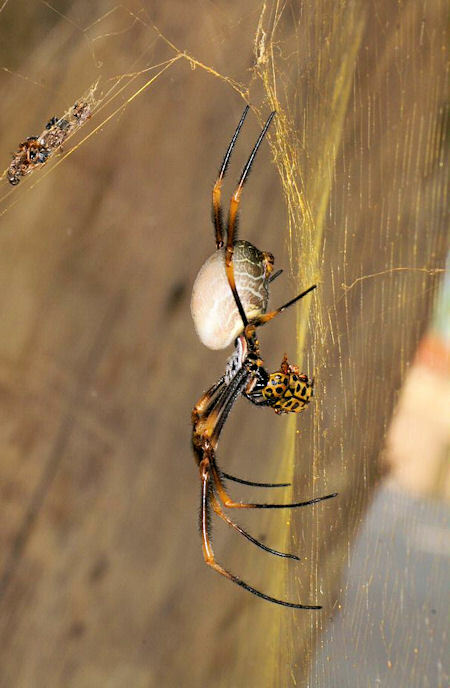 So strong that even small birds stick in the net. 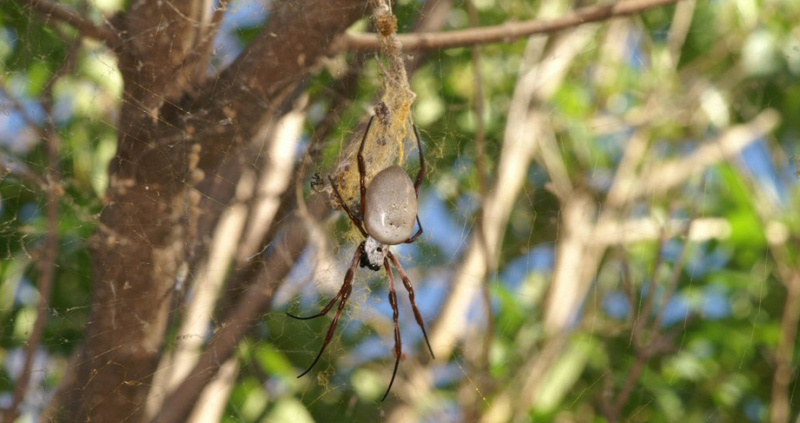 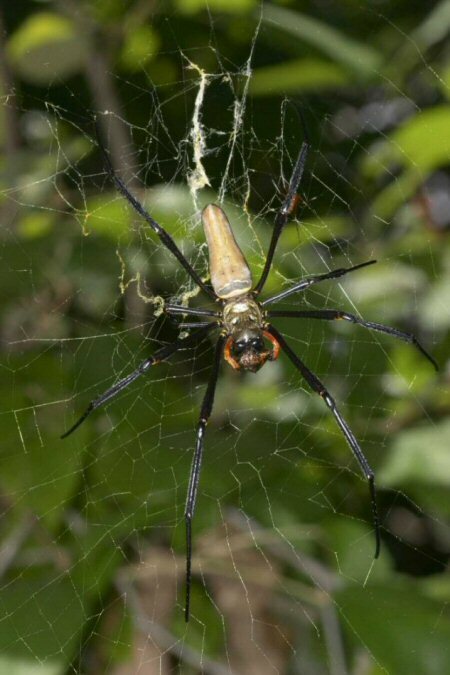 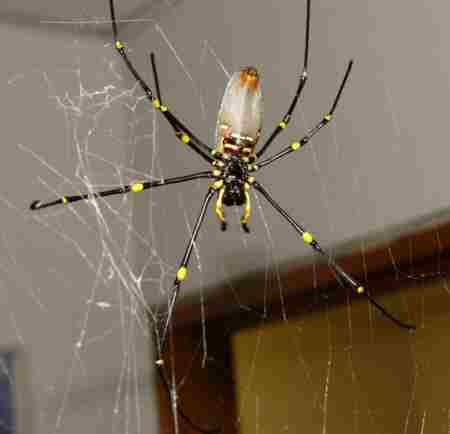 The two large and easily spotted Nephila species, Nephila plumipes and Nephila edulis, are very similar in appearance. 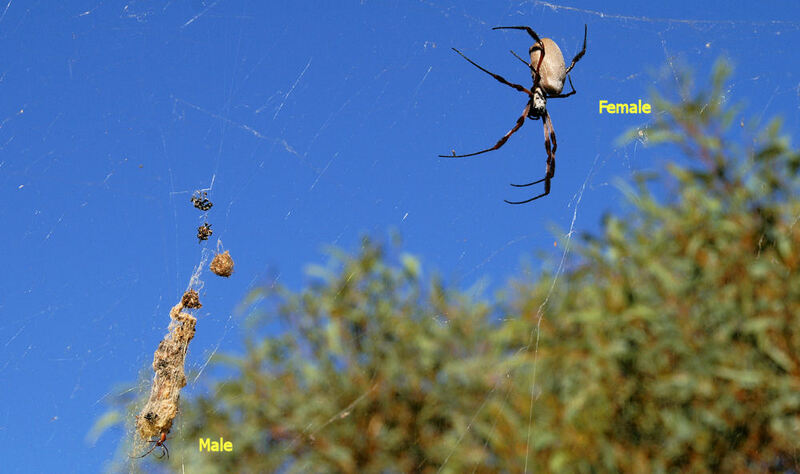 The female of both species is between 20 en 25 mm in length and the male is around 5 mm. 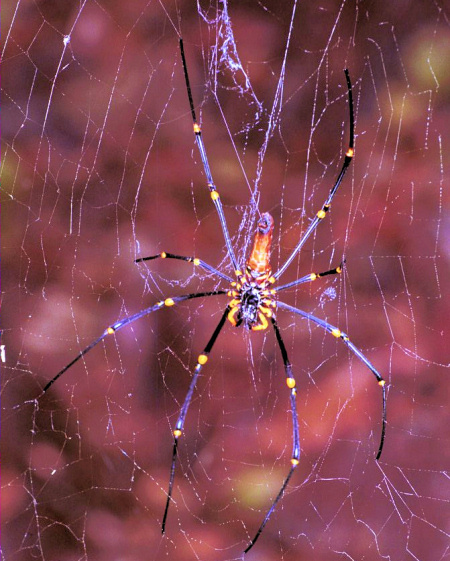 Legs are long and slender and both have tufts of hair on their legs. 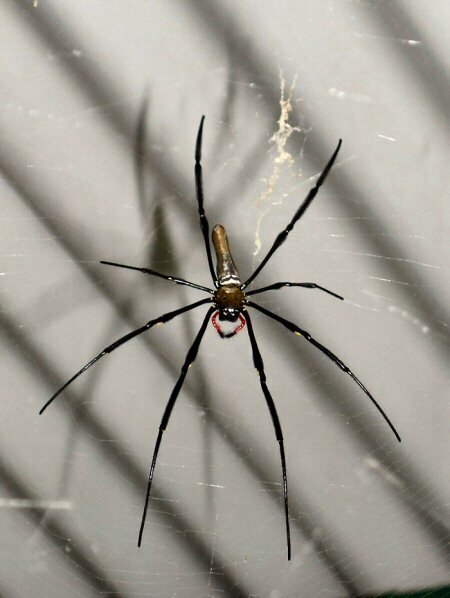 Nephila edulis male Young Nephila spiders. 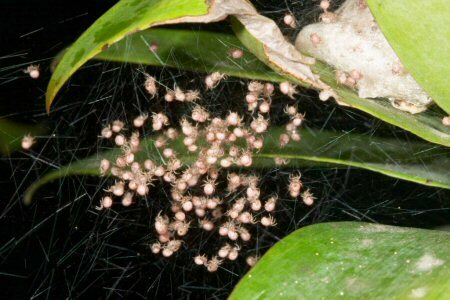 The first, second and fourth pairs of legs of juvenile (young) females have dense hairy brushes. 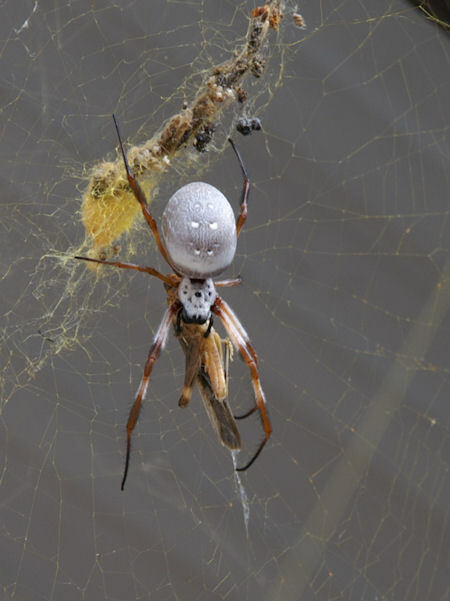 When the spider matures these brushes disappear. 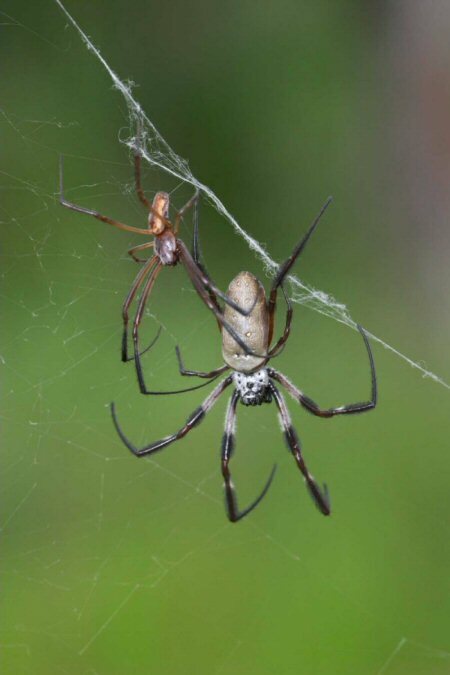 The web is vertical with a fine irregular mesh and it is not symmetrical, but the hub is usually nearer the top. 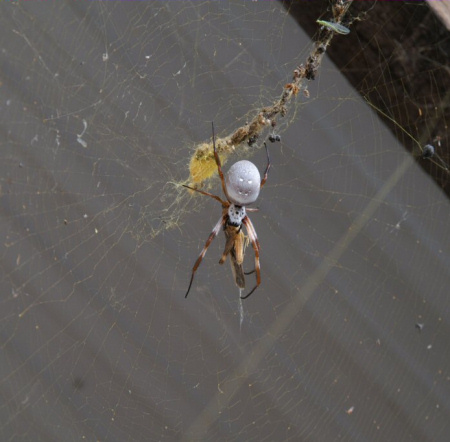 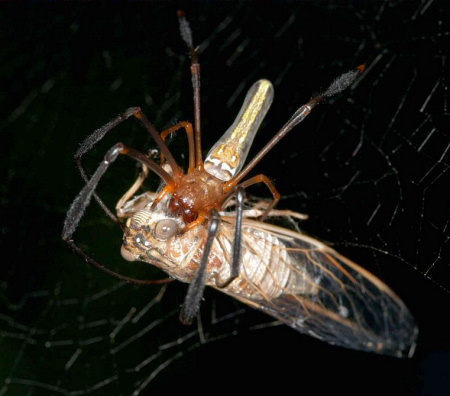 The female does not hang her egg-sac in the web but digs a pit and then covers it with plant debris and soil. 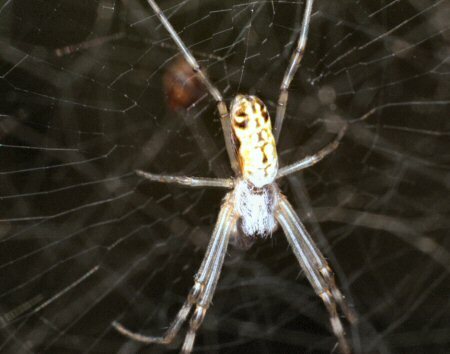 It is thought that the yellow colouring is used to attract prey.